An opportunity for all members to benefit from one another's knowledge and experience. 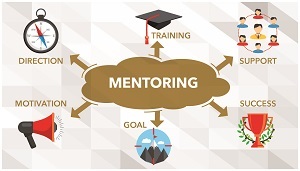 Whether you are a linguist interested in sharing your skills and expertise to help nurture and grow the linguists of the future, or at the start of your career and in need of advice and guidance, it's easier than ever to find a mentor or mentee through CIOL's Mentoring Platform. Find out more about becoming a mentor or a mentee by logging in to access the platform. CIOL members can log in to access this benefit. After logging in, a link will appear.